Farm Tours will include every aspect of the farm: gardens, greenhouse, animal operations, compost piles, irrigation systems, etc. Or it can be tailored specifically to your interests. We'll explain what the term "sustainability" means to us and explain the steps we take to make our farm as sustainable as possible. Our goal is to show visitors a small family-owned farm operation and its daily practices as it changes from season to season, including the organic garden and orchard, livestock and crop rotation systems, and land and water conservation methods. We hope that by observing small-scale, sustainable food production and tasting fresh food people can reconnect with the earth, appreciate where their food comes from and learn why we must support our local farmers. 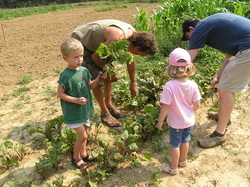 By educating the public about the economic and environmental impact of their food choices we hope to demonstrate to them that a local, community-based food system is beneficial to the consumer because it provides healthier food at lower costs and it is economically beneficial to small family-owned farms and their communities. 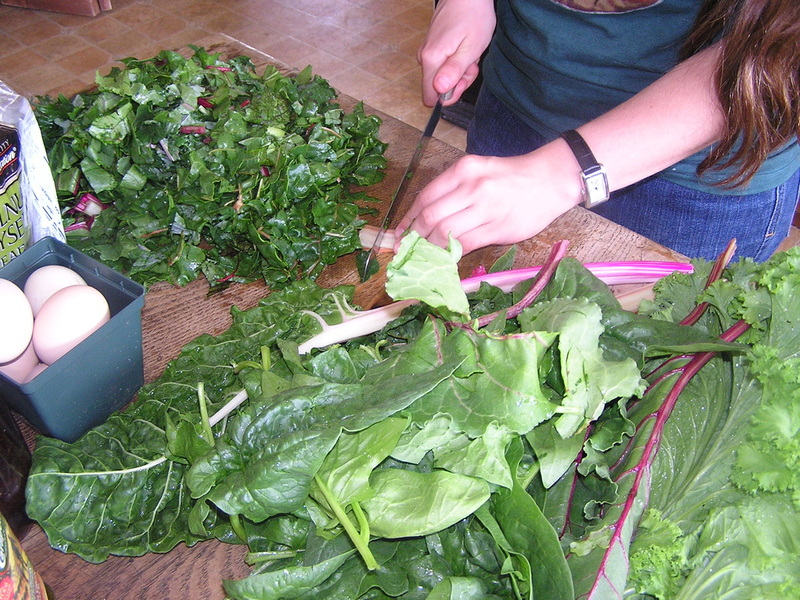 A local food system also helps protect the environment by lowering transportation fuel use and supporting smaller farms which tend to be more environmentally-friendly than large-scale industrial farms. 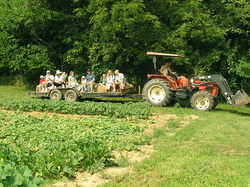 Your tour can even include a farm-raised meal. 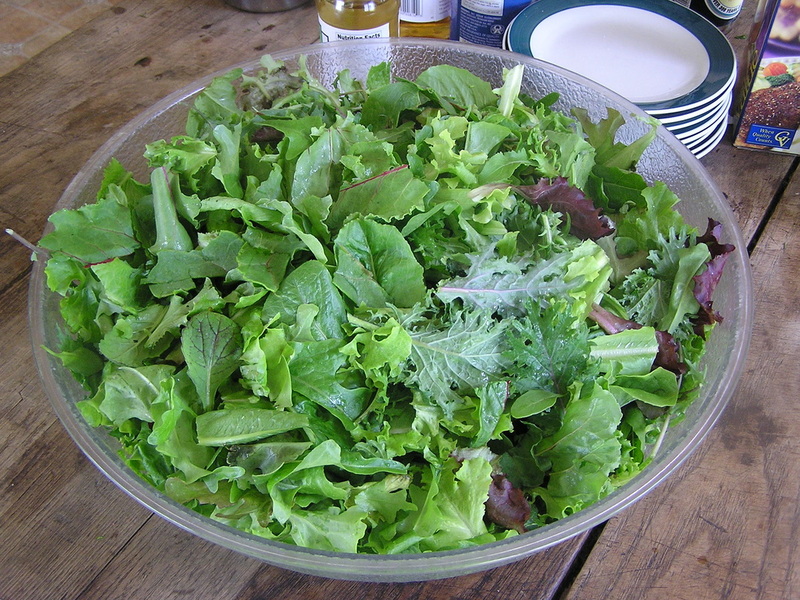 See where your food is grown and then let us prepare it for you! BICYCLISTS: Mackville Road is on the Trans-America bike route, so if you happen to be biking past our farm please stop by! 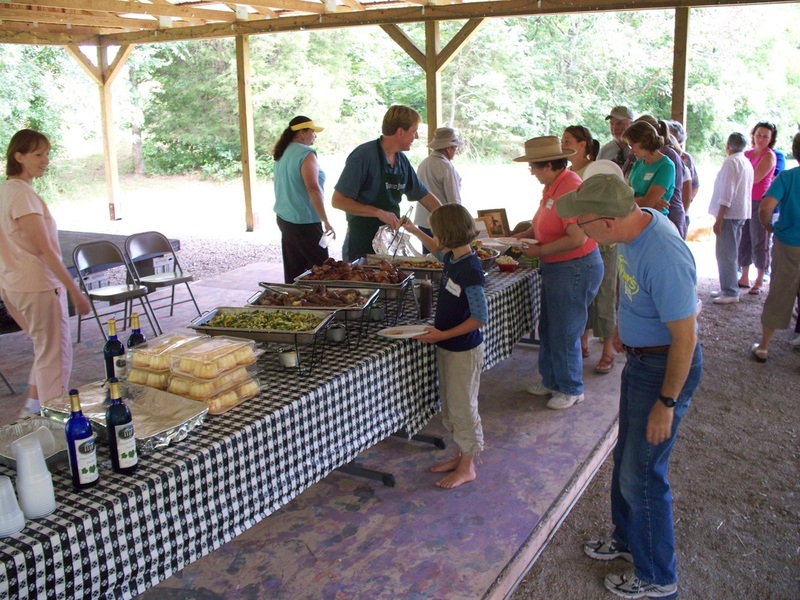 We offer showers, camping, and even a kitchen to prepare food. Contact us for more details.